This is the US version of the course that I recently wrote for Canadian advisors, which is available from “Learning Partner” for 7 hours of CE credits. I will refund the purchase price of this book if you take and complete the course within 90 days of purchasing this book. This link is for payment of bulk orders of agreed publications by special agreement only. 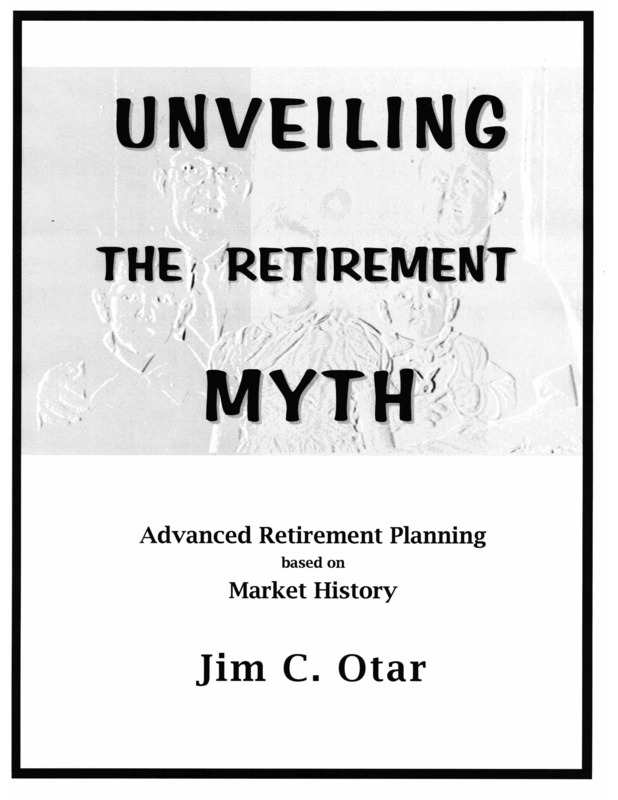 How to Quantify and Eliminate Luck"
Jim: Just wanted to thank you for your book "Unveiling the Retirement Myth." 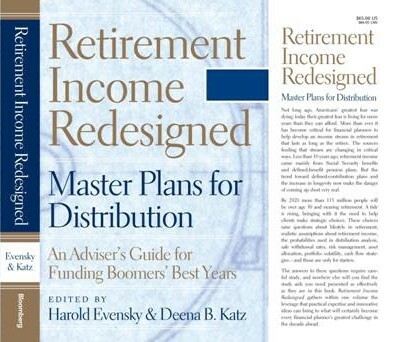 I think it is, quite simply, the best book on retirement planning ever written. I have recommended the book to several of my friends, all of whom have purchased it and all of whom share my high opinion of your work. My friends and I are all recent retirees, and your book is indispensable to us. Thanks again! Rob Wilson, "Old IBM Guy"
Jim: Thank you for early access to your work. You have successfully derailed my entire day's schedule as I've been power-reading through the pdf document. I confess, I did begin to get depressed and skipped to the zone chapters to see what hope you offer. First and foremost, thank you for the research, clear communication and prolific illustrations. Too many papers and reference books fail to break out the exact thought processes and calculations behind the text. Your illustrations are uniformly easy to read and support each contention. Thank you. Second, your consideration of a wide range of strategies and mixed tools demonstrates that you are a planner yourself. You did not take the simple way out, merely critiquing stocks, bonds and mutual funds. Including analysis of various annuity structures and consideration of life and long term care insurance bring the document from the realm of the academic to the pragmatic. Very helpful. Kevin J. Reperowitz, CFP®, SAGE Financial Group, LLC. 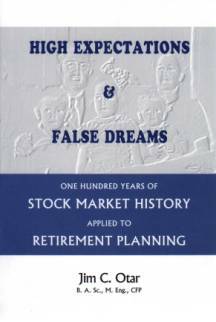 Jim has applied his exceptional analytical skills to create a ground-breaking contribution to pre- and post-retirement financial planning - a must read for all serious students of the subject. Gail Bebee, personal finance speaker and author of No Hype - The Straight Goods on Investing Your Money. Jim: I perused your book and it is wonderful. Adele Gipson, CFA, CFP, CPA, Consolidated Planning Corporation. Jim: It is interesting to see what I consider "real" planning for retirement. There is so much hype about the right amount of money to have, so much about diversified investments, etc. that I am pleased to see a realistic and pragmatic approach. I especially liked the story about the financial advisor the client a muffin and coffee, determining that he had $1 million saved and needed $100,000 per year to live on.... and the advisor basically said "I can't help you" rather than trying to get a "retirement plan" for the fellow. That is the best story. Toni Chasmar. Jim: I absolutely loved your newest book and would like to employ this rational and the Zone strategy with all my clients. Graham Cook, CFP, CIM, FMA, RDA, Composite Finance Inc.